Brisbane is one of the most popular holiday destinations in Australia. With its all-year-round summer weather, countless activities on offer and proximity to the Gold Coast, it’s not hard to see why. 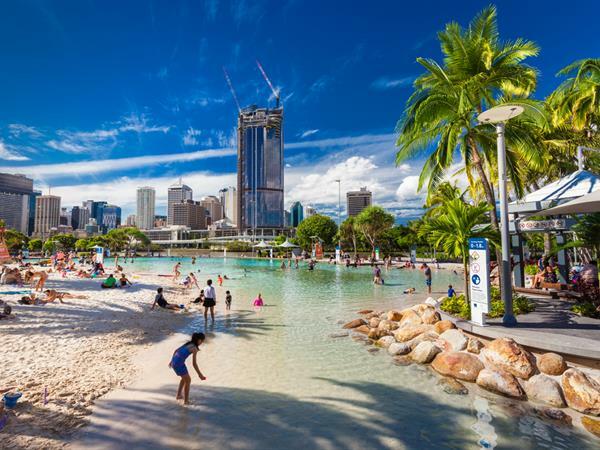 So to help you plan the perfect holiday, we’ve put together some of the most highly recommended family-friendly activities to try on a trip to Brisbane. There are a number of wildlife parks in and around the Brisbane area that are perfect for a day out with the family. If your children are interested in koalas (and what kids aren’t? ), take a trip to Lone Pine Koala Sanctuary, the largest koala sanctuary in the world and home to over 130 koalas! You can hold a koala anytime, hand feed kangaroos and interact with a large variety of Australian wildlife in serene, natural settings. Discover more diverse wildlife right in Brisbane’s backyard at the Walkabout Creek Wildlife Centre. Located close to the CBD of Brisbane itself, this zoo features a nocturnal house, a subtropical aviary, and a platypus rockpool that will allow your kids a look at the rare Australian animal. Bird fans will love O’Reilly’s Rainforest Retreat, which has a large selection of birds of prey and other Australian wildlife. You’ll spot owls, falcons and eagles in this sanctuary, and each day at 1pm there’s a show that will give you the rare opportunity to watch these incredible predators in free flight. Located in the Wintergarden complex of Brisbane’s Queen Street Mall, Strike Wintergarden is not your just regular bowling alley, and it certainly raises the bar when it comes to entertainment. Home to 12 bowling lanes, private karaoke rooms, a laser tag arena, pool tables and three exciting Escapism puzzle rooms, Strike Wintergarden offers hours of entertainment for the whole family. It’s latest addition, ‘Exitus’ is an interactive, real-life puzzle game where you and your team are trapped in a room and have 50 minutes to find your way out. This activity is probably more suited to the older kids, and trust us, it's just as challenging for the adults! Streets Beach is a little slice of paradise right in the heart of Brisbane. It’s an inner-city, man-made beach featuring a lagoon, surrounded by bright white sand and sub-tropical plants. Completely free-to-use, it’s also patrolled year round, making it a very safe choice for families looking for some beach fun. Pool is another family friendly beach that offers a wonderful way to cool down under the warm Brisbane sun. This is a natural-designed pool that has been specifically created to provide a safe swimming spot for people of all ages. Like Streets Beach, Boat Pool is free to visit and is patrolled all year round. Aquativity is a fun and interactive water park that has more than enough activities to keep the kids entertained for hours on end. It’s also one of those subtly educational experiences, with the activities teaching kids about Brisbane River, local catchments, native fish and mammal species, and the water cycle. It’s completely free-to-use, and open daily. For families with slightly older children, bike tours are a wonderful way to explore a city that you’re visiting on holiday. Not only are you able to travel great distances and see a lot while on a bike, but you’ll get a great workout as well! Brisbane By Bicycle is a casually-paced guided tour experience that promises the most authentic, fun and informative way to see Brisbane. Costing just $69 per person, this 3.5 hour tour takes participants along the Brisbane river (free of cars), and features plenty of classic photo opportunities. There’s also a visit to a gallery or museum thrown in as part of the trip. Alternatively, take a twilight tour for just $50 per person. Slightly shorter, at 2 hours, this tour gives you some of the most spectacular views of Brisbane, and is conducted at a leisurely pace that will give you plenty of opportunities to talk to the guides and learn all about the Brisbane area. Kayaking is the ultimate family day out, and what better way to see Brisbane than from the meandering Brisbane River? Riverlife offer guided kayaking adventures that allow you to see the city from a truly unique angle, whilst getting a couple of hours of low-impact exercise at the same time. The tour includes an introductory lesson to kayaking from your fully qualified tour guide, and no experience is necessary to participate. Note, however, that there is an age restriction of 8 years old, and 12 years old for the night tours. As you can see, there’s no shortage of activities to keep the family entertained on a trip to Brisbane. Whether it’s cuddling koalas, bowling a strike or cycling along the Brisbane River, you’re sure to enjoy a fantastic holiday catered to the whole family.